The UK Open College was set up by home learning experts with over ten years experience in delivering home based study programmes. We now train literally thousands of students each year in a variety of different subjects. We have now established ourselves as one of the biggest Home learning Colleges in the UK. All of our course can be studied from the comfort of your own home with no set term times. So you can enrol anytime! With distance learning and todays technology distance really is no barrier to any of our students. Online learning has seen a massive increase in interest in current years and with todays current financial climate the interest and need to gain qualifications has never been greater. Based in the midlands near Birmingham we are ideally located in the centre of the UK to serve the whole of the country. Infact we now tutor students all over the world. This is something we are very proud of and take a lot of pride in. If you are looking to train from home and need some advice on which direction to take why not speak to one of our advisors. It will cost you nothing as all the advice and guidance is totally free of charge. Even the phone call is free! 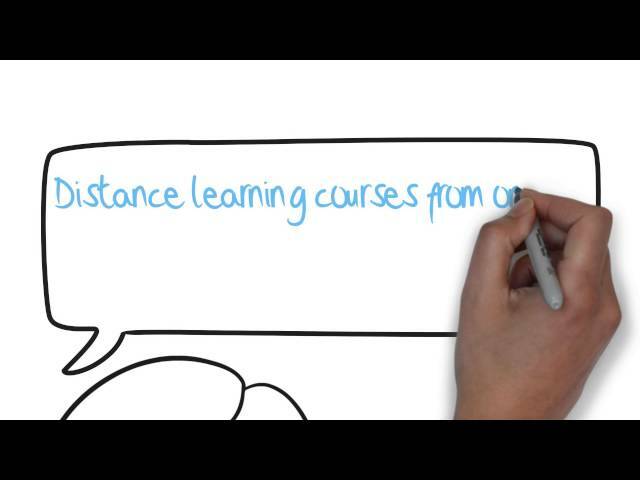 Distance learning courses provide our students with complete flexibility which is ideal for those working full time or bringing up a family where spare time can be limited. We understand that there are many people who would love to futher their careers and enhance their knowledge but find it difficult to find the time.We believe we have the answer! Our home learning courses come complete with unlimited support and study materials supplied, so once you decide on your chosen course there are no extras to go out and buy. There are no hidden costs and nothing extra to pay once you enrol unless you decide to take on additional practical training if required (selected courses only). Over 90% of our online courses carry fully accredited and recognised awards from highly regarded awarding bodies such as NCFE, NOCN, ICB, SAGE, PRINCE 2, ASET and many more. This gives our students the piece of mind that upon completion of their home learning course they will be issued certification that will improve their career and earnings potential. The UK Open College boasts full accreditation for our ICB bookkeeping courses. Our affiliation with the biggest bookkeeping institute in the world will prove to our students that our bookkeeping training is second to none. Our computerised accounting training, Sage Accounting and Sage Payroll courses are officially Sage Accredited and carry prestigious Sage certification to further boost your career options. We carry full accreditation as a Sage Partner to offer these courses and provide official sage online examination and fully licensed software. Our courses come with a seven day money back guarantee and a price promise to give you further piece of mind should you have any doubts. If you are seriously considering a Home learning course, an online course or any home based training choose one of the biggest and the best distance learning course providers in the country. Dont settle for second best when it comes to your future! Experience with UK Open College? Did you complete a course or program at UK Open College? Help others decide by submitting your review on Springest!